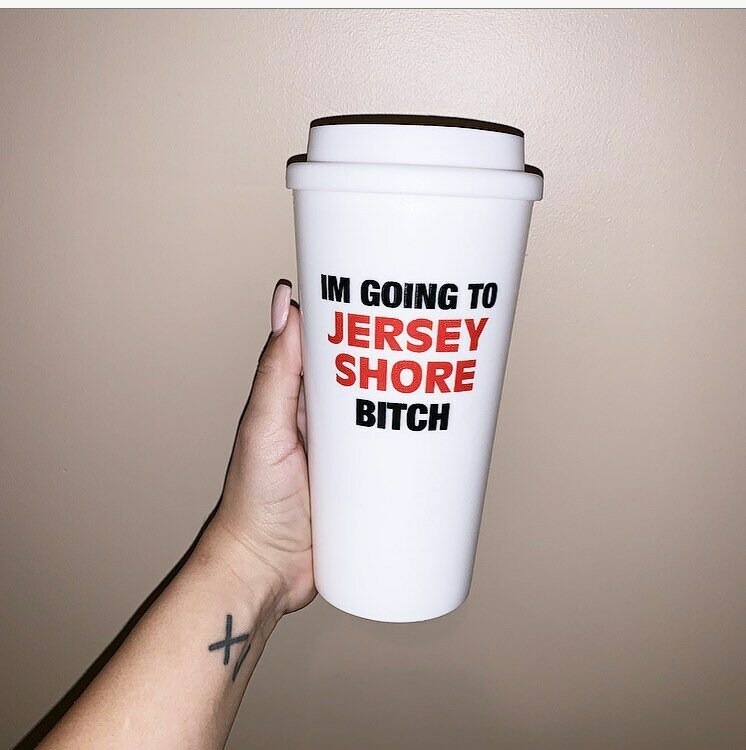 In honor of JERSEY SHORE FAMILY VACATION, get excited & ready with our tumblers! Made with BPA free double walled plastic. Microwave safe, Hand Wash to preserve decal.